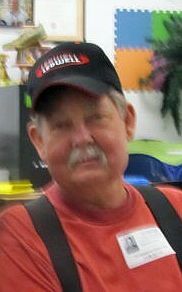 Danny Lee Greer, 73, of Edgewood passed away on Thursday, June 7, 2018, in Grand Saline. Danny Lee Greer was born August 12, 1944, in Dallas, TX to parents Jessie Lee Greer and Dixie Lorene Townes Greer. He was raised in Dallas, TX, where he attended school. Danny was a tile layer in the flooring industry. Danny is survived by his son, Kenneth Greer and wife, Tanya, of Maypearl, TX; daughter, Shellee Greer Taylor of Rendon, TX; sisters, Linda Ramsey and husband, Michael of Edgewood, TX and Vickie Long of Bagwell, TX; grandchildren, Kristin Dawn Taylor, Tiffany Rose Taylor, Joshua Lee Taylor and Tyler Ray Greer; great grandchildren, Elijah Kaden Perez, Avri Lynn Faye Taylor and Kayla Sue Jeter. Danny will be celebrated & known in medical history for his Kidney Transplant of 39 years, donated by his Loving Caring sister Vickie Long in 1979. Services will be planned by family at a later date.